FLU 2018: MYTHS AND FACTS FOR OLDER ADULTS | Full Circle Home Care Inc.
You know the flu season is bad when you can’t find anyone to join you at happy hour, dinner, or the movies. They’re all begging off because they have the flu, or don’t want to catch it. All those ”maybe next week” responses underscore how bad the 2017-2018 flu season is shaping up. Public health officials are calling it the worst in recent years—and they warn that it may not have peaked. So how Bad is This Year’s Flu Season? According to the Public Health Agency of Canada, the number of people stricken by flu continues to rise across the country, with 15,572 laboratory-confirmed cases for the season as of Jan. 6, the says. The level of influenza activity is “in the higher range of expected levels for this time of year,” the agency said in its latest FluWatch Report, released Friday. Last year, there were far fewer cases, with 8,976 reported by the end of the first week of January 2017. The majority of cases continue to be the H3N2 subtype of Influenza A, a particularly brutal strain that tends to cause more severe illness, particularly among the elderly and children. At the same time, Influenza B is “increasingly steadily,” the report says, with 20 times more detections so far this season than for the same time period in the last seven years. The B strain started circulating much earlier than usual, the public health agency said. The flu is affecting people over 65 years of age the most and there have been 54 reported flu deaths in Canada this season, the FluWatch report said. Fewer than five of those deaths were children. There have been 1,850 reported hospitalizations — 68 per cent of which have been seniors. H3N2, which is the dominant flu in both Canada and the U.S., is prone to mutation, which can make the vaccine against it less effective — even though it appears the virus strain was correctly predicted. Experts, including Canada’s chief public health officer, have said that, although it’s too early to tell for sure, the H3N2 component of this year’s vaccine may have mutated during the manufacturing process, making it less effective. Countries in the Southern Hemisphere, which have their flu season before Northern Hemisphere countries, experienced poor vaccine effectiveness against H3N2, leading health-care workers to anticipate similar results in Canada. Despite that, health-care workers say it’s still important for Canadians to get their flu shot — partly, they say, because some protection against H3N2 is better than none. In addition, they say the vaccine could offer good protection against other flu strains in circulation, including Influenza B. Doctors also say research suggests that even if the vaccine doesn’t prevent someone from getting the flu, it could help lessen the symptoms. “Even though it’s not perfect, it’s still the best protection we have,” said Dr. Isaac Bogoch, an infectious disease specialist at University Health Network in Toronto. It’s Probably Too Late To Get Vaccinated. I’ll Just Cross My Fingers. Dr. Schaffner, a spokesperson for the Infectious Diseases Society says “If you haven’t been vaccinated, it is late but perhaps not too late,” “Don’t linger,” he adds. “Go get vaccinated.” The vaccine takes about 2 weeks to get up to full strength. The latest CDC predictions say the flu season may not have peaked. Translation: you may be searching for happy hour partners for a month or more to come. Typically, flu season begins in October or November. It usually peaks between December and February, but can drag on until May. 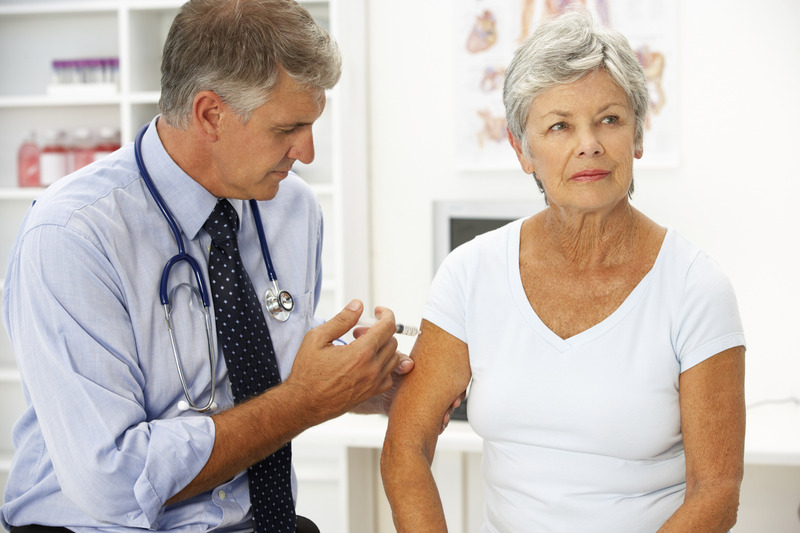 Older adults should know there are now two vaccines specially licensed for those age 65 and older, Dr. Schaffner says. One is a high dose and the other has an adjuvant in it, an immune stimulant. Both give the aging immune system more ”punch,” he says. Even if these ”super duper” vaccines aren’t available from your doctor or pharmacy, get whatever vaccine is available, Dr. Schaffner advises. What Is The Best Way To Avoid Getting The Flu, Besides The Vaccine? Yes, it sounds like the department of duh, but keeping away from sick people can help, says Dr.Ghurabi. That may be even more important, in light of new research from the University of Maryland suggesting it may be easier than experts had thought to spread the flu virus. Experts have commonly believed that flu is spread by exposure to droplets from an infected person’s cough or sneeze or by touching surfaces the virus has contaminated. However, the new research found that people with the flu contaminated the air around them with infectious virus just by simply breathing—no sneezing or coughing required. If You Do Get The Flu, What Should You Do? Call your doctor to see if you are a candidate for the prescription-only anti-viral drugs (such as TamiFlu, Relenza, Rapivab), Dr. Schaffner says. While they are not miracle drugs, he says they can shorten the misery by a day or a half day. Best to start within 24 to 48 hours of symptoms coming on. What Else Can You Do To Stay Healthy During Flu Season? * Wash your hands often and with soap—for 15 seconds or so. * Have fever reducers like Advil or Tylenol available so you can treat yourself promptly. * Consider wearing a mask (from CVS or your own) when you’re out in a crowd to maintain your healthy status. * If you live in Ontario, you can go to any Shoppers Drug Pharmacy and get a free flu shot. You can keep up on flu activity by visiting the Public Health Canada FluWatch Report, which has plentiful and updated information.